We have two variables named speed and time, and they each store a number. The alert function displays the result of multiplying the values stored by the speed and time variables. This is a pretty literal translation of the distance equation you just saw. I don’t know about you, but this just looks turrible. Our code is unnecessarily verbose and repetitive. Like I mentioned earlier when we looked at Variables, repetition makes your code harder to maintain, and it also wastes your time. Don’t worry too much about what this code does just yet. Just know that this smaller chunk of code does everything all those many lines of code did earlier without all of the negative side effects. We'll learn all about functions and how they do all the sweet things that they do starting...right...now! You will rarely write or use code that doesn't involve functions, so it's important that you get familiar with them and learn all about how well they work. The best way to learn about function is just to just dive right in and start using them, so let's start off by creating a very simple function. Creating a function is pretty easy. It just requires understanding some little syntactical quirks like using weird parenthesis and brackets. If you typed all this in and preview your page in your browser, you will see hello! displayed. The only thing that you need to know right now is that your code works. Let's look at why the code works next by breaking it up into individual chunks and looking at them in greater detail. In our case, the content is the alert function that displays a dialog with the word hello! displayed. The function call is typically the name the function you want to call (aka invoke) followed again by the parentheses. Without your function call, the function you created doesn't do anything. It is the function call that wakes your function up and makes it do things. Now, what you have just seen is a look at a very simple function. In the next couple of sections, we are going to build on what you've just learned and look at increasingly more realistic examples of functions. You call a function, and the function does something. That simplification by itself is not out of the ordinary. All functions work just like that. What is different is the details on how functions get invoked, where they get their data from, and so on. The first such detail we are going to look at involves functions that take arguments. Between your opening and closing parenthesis when calling the alert function, you specify the stuff that needs to be displayed. This stuff is more formally known as an argument. 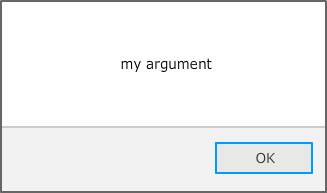 The alert function is just one of many functions that take arguments, and many functions you create will take arguments as well. What used to be empty parenthesis following the function name will actually contain some information about the quantity of arguments your function needs along with some hints on what values your arguments will take. For showDistance, you can infer that this function takes two arguments. The first argument corresponds to the speed and the second argument corresponds to the time. In our case, we call showDistance and specify the values we want to pass to your function inside the parentheses. Because I am providing more than one argument, I separate the individual arguments by a comma. Oh, and before I forget to call this out, the order you specify your arguments matters. When the showDistance function gets called, it passes in a 10 for the speed argument, and it passes in a 5 for the distance argument. That mapping, as shown in the previous diagram, is entirely based on order. You can use these variable names to easily reference the values stored by the arguments inside your function. If a function happens to take arguments and you don't provide any arguments as part of your function call, provide too few arguments, or provide too many arguments, things can still work. You can code your function defensively against these cases, and in the future, we will touch upon that a bit. In general, to make the code you are writing more clear, you should provide the required number of arguments for the function you are calling. The myDistance variable will store the results of the calculation the showDistance function does. Notice that we are still calculating the distance by multiplying the speed and time. 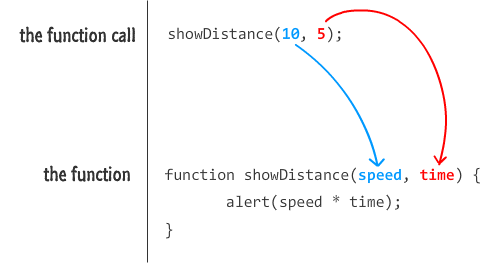 Instead of displaying an alert, we instead return the distance (as stored by the distance variable). When the getDistance function gets called, it gets evaluated and returns a numerical value that then becomes assigned to the myDistance variable. That's all there is to it. Any code that exists after your return statement will not get reached. It will be as if that code never even existed. Using the return keyword to return a value is optional. The return keyword can be used standalone like you see here to just exit the function. What you have seen so far is how functions are commonly used. There are some advanced traits that functions possess that I did not cover here. Those uses will be covered in the future...a distant future. 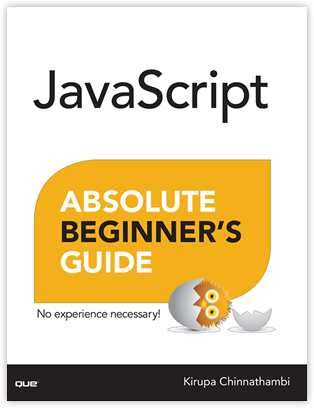 For now, everything you've learned will take you quite far when it comes to how functions are used in the wild.